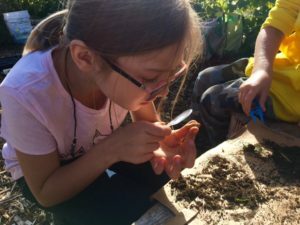 The Kendall garden has been a place for kids to learn about healthy food since 2009. 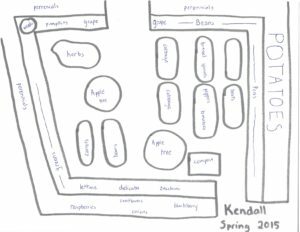 In 2012 and 2015, the garden underwent expansions facilitated by Kendall’s PTO. The garden is now an enclosed space that contains apple trees anchoring a few raised beds, a three bin composting system, an herb garden, a sensory garden, weather station and a seating area for classes. It is bordered by fall bearing raspberries, blackberries, blueberries, prolific grapes and flowering perennials. 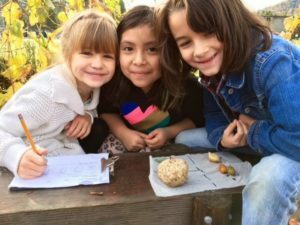 Growing and tasting healthy food is important for Kendall School, located in a food desert, where 66% of students qualify for free and reduced lunch. Extra produce is shared with Kendall families, through an informal recess garden club or is offered at fall student-teacher conferences. Kendall Elementary is located at 4956 Deming Rd, Deming, WA 98244. If this school is particularly near and dear to your heart, we’d love to invite you to become a Sponsor or a Summer Garden Care Volunteer!